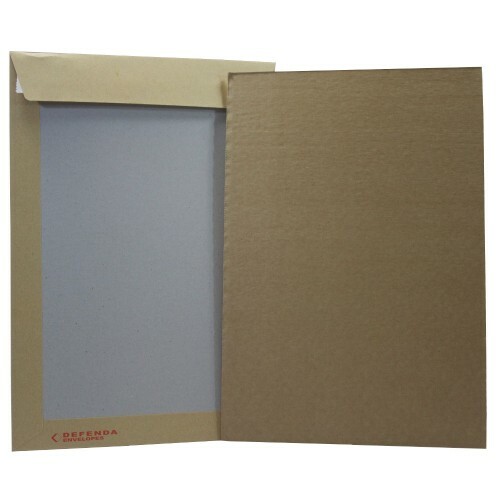 These C3 / A3 Size DEFENDA Board Backed Envelopes come with A3 size Envelope Stiffeners to add additional protection to your important A3 size items that you need to ship safely through the postal system. The A3 Envelope stiffener is made from a very strong E-Flute corrugated board and will still allow room within the Board Backed Envelope for your item. The ULTIMATE PROTECTION for those items you need to protect in the post! Very Strong Combined C3 Hard Backed Envelope and Stiffener.